Anantara’s artist-in-residence Christopher Hogan led local orphans in arts and crafts lessons this week at Anantara Dhigu Resort & Spa in the Maldives. As part of the company’s ongoing collaboration with the local community, ten children created works that will be sold at the resort over the holidays. All profits will be donated to the Children’s House, the best kind of souvenir! 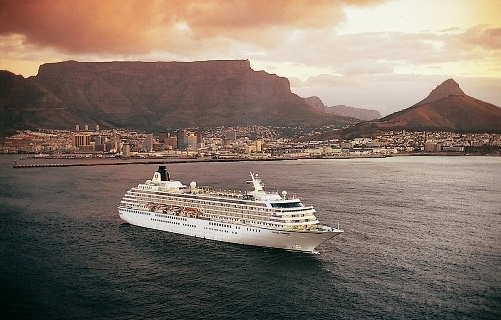 Crystal Cruises invites children 17 and under to sail free on select 2011 Pacific Coast sailings! The offer is valid for children sailing in a third berth with two full-fare adults. The itineraries include stops along the northern Golden Coast of California and British Columbia with visits to Santa Barbara, San Francisco, California; Astoria, Oregon; Seattle, Washington; and Victoria, British Columbia. The November trip will include Crystal’s first-ever overnight in San Francisco. In keeping with their excellent service, the trip dates won’t fall along dates that would make it hard for children to make the trip. The April sailing ends on Easter Sunday over many Spring Breaks and the November sailing is over Thanksgiving. 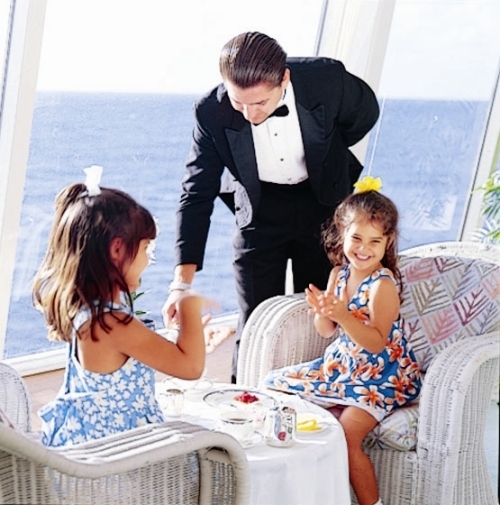 Both Crystal Serenity and Symphony have children and teen facilities with daily events, video games, and toys for on-board entertainment. There’s no excuse not to bring the kids…. Or the grandparents! While headlines may be predicting doomsday airline fee hikes for 2011, Continental Airlines is bucking the trend and will be offering great rates to Albuquerque all year! As long as tickets are booked at least two weeks in advance, one way tickets are $99 for all travel (no blackout dates!) through November 3, 2011. 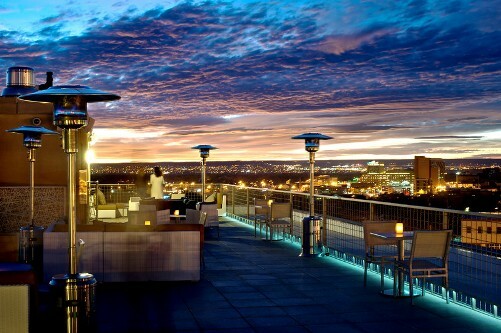 Visit the city with 300-days of annual sunshine and some 30 events and festivals annually and catch the view from Hotel Parq Central’s rooftop Apothecary Lounge. Or plan ahead (New Year’s resolution!) and experience the Albuquerque International Balloon Fiesta, to be held October 1-9, 2011, known as the world’s most photographed event! You can’t consider yourself a true jetsetter until you’ve caught sight of a Whale Shark on its annual circumglobal path. 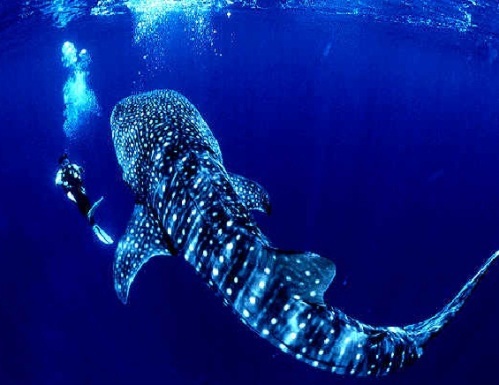 The gentle giants swim in tropical and warm temperate seas (rich in plankton) – for geography junkies, usually between latitudes 30° N and 35° S – and for laymen anywhere from Australia to Belize, and the Maldives to Madagascar. 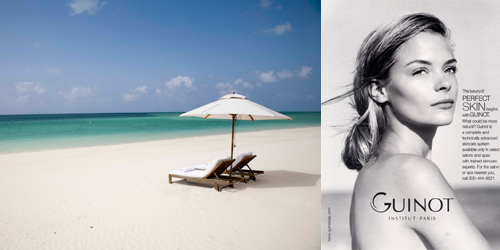 Come February, when winter’s cold has really outworn its welcome, jet down to Parrot Cay for a restorative Pilates Retreat. Already known for its amazing yoga retreats, the private isle is kicking off its new offering, continuing to be ahead of the curve when it comes to wellness. The retreat comes after the success of the resort’s mini-Pilates programs last year. Elizabeth Feltman, instructor at the renowned Manhattan studio Erika Bloom Pilates Plus, is teaching this immersive program. With two classes each day, participants learn to set intention behind each movement for a true body transformation and form a great foundation for an active and balanced lifestyle. Feltman’s love of movement began with dance, and for the last 11 years, along with dancing and integrative nutrition, she has trained using Pilates to deepen her understanding of anatomy and kinesiology (the study of human movement). While on the island, be sure to take advantage of the white sand beaches, healthy COMO Shambhala cuisine with an Asian flare emphasizing raw foods, and the very Zen COMO Shambhala Retreat and its host of Asian-inspired treatments. Daily group yoga classes are also available gratis! To celebrate this collaboration, one lucky spa-goer will win a three-night trip for two to the private isle for some sun and relaxation. The weekend starts with champagne upon arrival. Then it’s off to the COMO Shambhala Retreat for a signature Guinot facial. After the spa, guests may explore the azure waters with a private snorkeling session before stretching out during a private yoga lesson. Throughout the stay, guests can enjoy the healthy and tasty COMO Shambhala cuisine (a menu designed to maximize energy and well-being, relying on raw foods rich in living enzymes, vitamins, and sea minerals). Valid for travel through December 31, 2011 (subject to availability, and black-out dates apply). To signup, visit a local dayspa featuring Guinot or www.guinotusa.com. The promotion will run from February 1-March 31, 2011. To locate the nearest spa, visit http://www.guinotusa.com/locator/. Island Outpost has the sexiest solution to shaking off the winter chill, with two new airport openings that will make it more glamorous – and easier than ever – to flit in, out and about Jamaica. In conjunction with Island Outpost’s Jakes in Treasure Beach, Lionel Densham Aerodrome will open on December 16th; and Ian Fleming International Airport, Jamaica’s third international entry point, is set to launch on January 12th, just minutes away from the newly-reopened GoldenEye Hotel & Resort in Oracabessa. 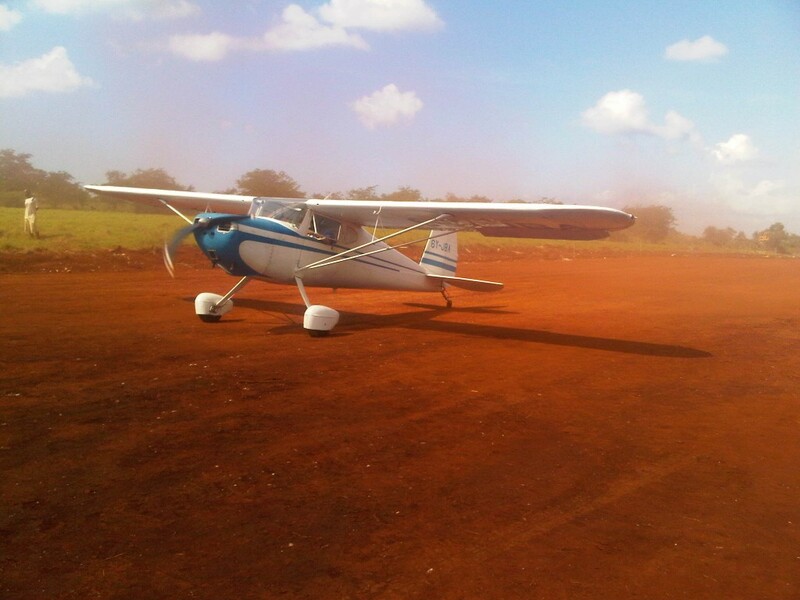 For guests wishing to fly to Jakes, Lionel Densham Aerodrome is a new private airstrip located 10 minutes away from the resort. Exclusively for Jakes guests, it is the first aerodrome in Jamaica to be wholly owned by a resort property, to be used as an amenity for guests. The grass-surfaced strip is 2,300 feet long (701 meters) and is ideal for single-engine light aircraft. Four- and six-seater Cessnas will be available to transfer guests between Jakes and other Island Outpost properties, as well as to and from the main airports at Montego Bay and Kingston. Lionel Densham Aerodrome will officially open with a special launch event at 10am on December 16th, hosted by Jamaica’s Prime Minister, the Hon. Bruce Golding. All flights will be private charters and part of a VIP package, which will include a complimentary bottle of champagne and spa treatments. 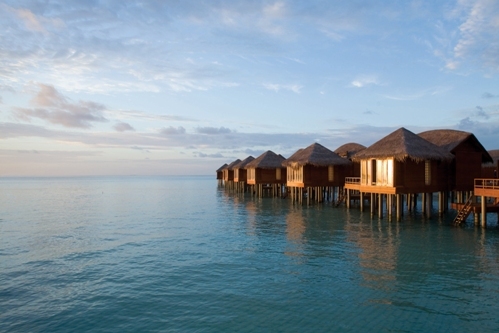 But with rates starting at US$275/night for VIP flight and stay packages, this luxe add-on won’t break the bank! Reservations can be booked through Jakes, or Island Outpost’s central reservations. Guests wishing to land their own planes at Lionel Densham should request permission prior to their stay. The eponymous airstrip pays homage to Jamaica’s first aviator, Lionel Densham – the great uncle of Jakes’ owner Jason Henzell. He was a local eccentric who first came to Jamaica in 1929 while navigating a yacht for some wealthy Americans. When the stock market crashed, so did the yachting job and Lionel returned to Jamaica with his only sibling, Basil. Lionel was the first person living in Jamaica to own his own plane, but was perhaps a little more famous for his eccentricities. When a friend stopped to find out if he was having engine trouble he said: ”Oh no old boy, just frying an egg,” and sure enough that is just what he was doing, with his frying pan balanced precariously on his engine block. Ian Fleming International Airport will be officially opened by Prime Minister Bruce Golding with a 4pm launch event on January 12th, and will be attended by Fleming’s nieces, Lucy and Kate, as well as Island Outpost founder and music mogul, Chris Blackwell. Just 10 minutes’ drive from GoldenEye, the airport formerly known as Boscobel Aerodrome has been renovated and expanded to accommodate private jets and other small commercial aircraft. It has also received a fitting name change – Ian Fleming was not only a fixture of the area (his Jamaica home is the idyllic GoldenEye Hotel & Resort) but he also helped put Jamaica on the map during the glamorous 50s and 60s. He and good friend Noel Coward would host everyone from heads of state to Hollywood royalty between his own estate and Coward’s nearby cliff-top home, Firefly. The airport will be able to park six international aircraft with a maximum wingspan of 55 feet (16.8 meters) and maximum length of 65 feet (20 meters), plus three small domestic planes. Also available will be JetA1 and AvGas fuel. 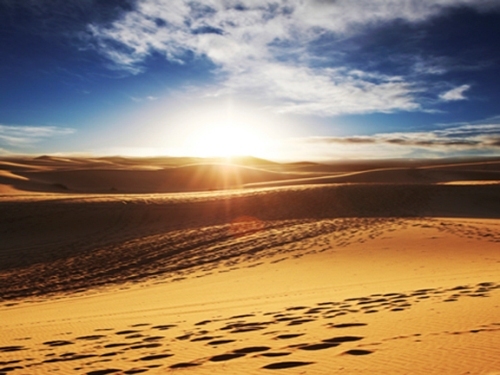 When planning a vacation, it’s sometimes hard to know if you’re really getting the best deal or seeing the most authentic ‘non-tourist’ spots. It’s even more difficult when traveling to a destination for the first time! If India is on your must-see list (for the first time, or a return trip), don’t board the plane without consulting with Lucy Davison of Banyan Tours & Travels. Not only does Lucy have clout with India’s top hotels—translating into superior availability during peak travel times—but she has personally selected the best rooms in the palace hotels and will reserve only those rooms for her clients. Her goal is to bring clients into cultural moments ordinarily off-limits to travelers—weddings, school speech days, obscure festivals with costumed cows—and loves to arrange surprises based around her clients’ personal interests: a private Sufi music performance for an aficionado, for instance. 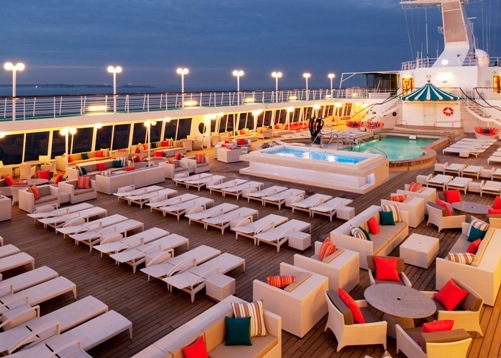 Crystal Symphony won the recent USA Today reader’s poll for a virtual tour of the luxury ship. Check out the site to see the ins and outs of life aboard!